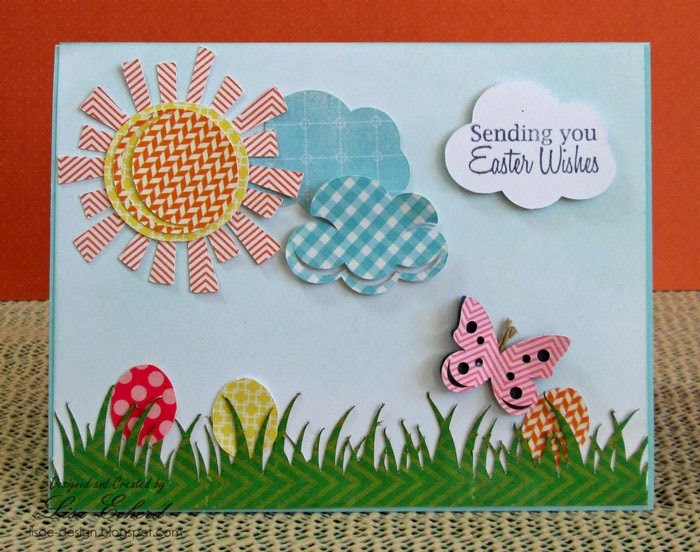 Lisa E Design Blog: Guess what the Easter bunny brought? When I was a little girl, after church one Easter Sunday and my friend Sandra was showing off her new doll. "The Easter Bunny brought it!" she told me. Easter Bunny? I knew about Santa Claus who brought me toys at Christmas, but gifts at Easter? from a rabbit? In the car, I announced loudly from the back seat that I was going home to check under my pillow to see what the Easter Bunny had brought me. I raced into the house and down the hall to my room. I found a pack of chewing gum. I was happy with it. I don't remember being disappointed that Sandra got a doll and I got gum. What I found out a few years later was that my Mother had panicked and rooted around in her purse to find the only thing she could possibly pass off as a gift from the 'Easter Bunny.' Somehow she beat me in the house to get to my bedroom before I did. After that year, the Easter Bunny brought really nice stuff! This gift arrived a few days ago via Fed Ex not the Easter Bunny. The Silhouette Cameo is an early birthday present from my parents. I'm having so much fun with it! The cuts are crisper and more precise than my Cricut. 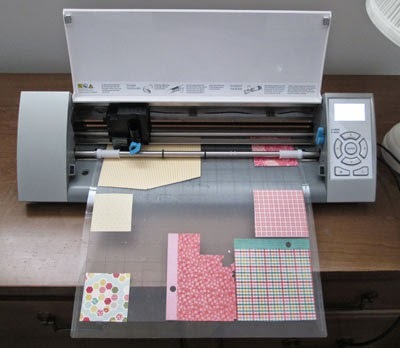 I had the SCAL - Sure Cuts a Lot software that was originally sold to work with the Cricut. You can't buy it to work with the Cricut anymore but having it entitled me to a free upgrade to a version that works with the Silhouette. So between the Silhouette software and SCAL, I have a lot of cutting options. 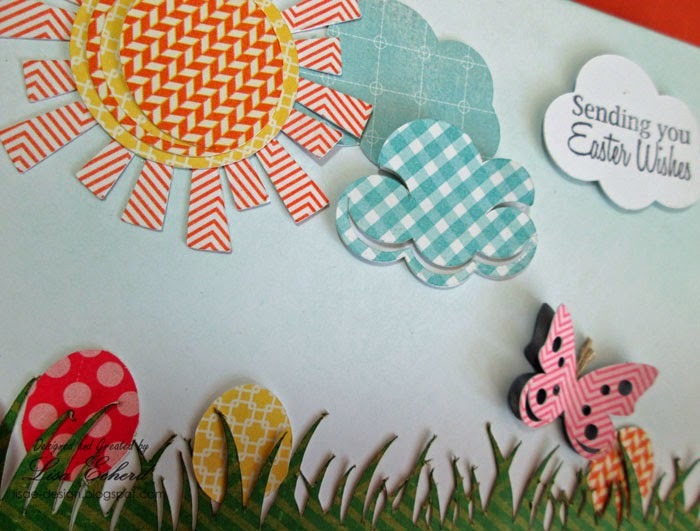 The card above uses Miss Kate's Cuttables for the clouds, sun, and butterfly. I got the arrangement from this video by Christina Thomas I was watching on learning to use the Silhouette. I did my version as an Easter card. The grass is from the Silhouette store and I use SCAL to create the eggs. I've also cut several things for layouts for my next project coming along in just a couple of weeks. Thanks for stopping by today! Hope you have a happy Easter and find all the eggs! Cute story and cute card! Happy Easter!